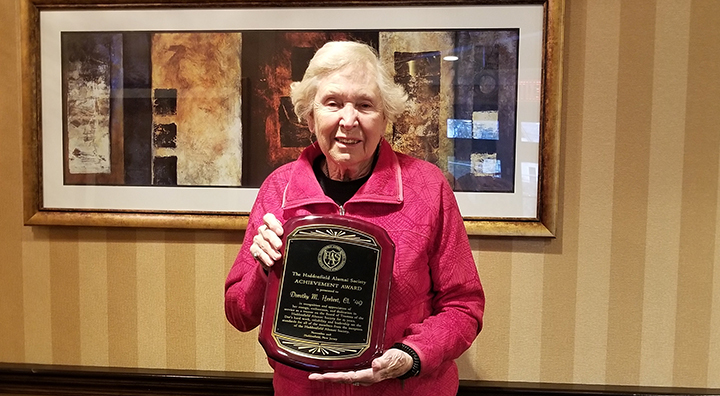 Haddonfield, NJ — The Haddonfield Alumni Society presented Dorothy M. Herbert, a resident of Brandywine Living at Haddonfield, with a Lifetime Achievement Award. The award is in recognition and appreciation of her energy, enthusiasm and dedication service as a trustee on the Board of Trustees of Haddonfield for 25 years. Brandywine Living is proud of Dorothy’s outstanding achievements and dedication to the Haddonfield community. Brandywine Living (formerly Brandywine Senior Living) is a market leader in luxury senior living, including assisted living, memory care, and independent living. Founded in 1996, and headquartered in Mt. Laurel, New Jersey, Brandywine current­ly operates 29 communities in five states (PA, NJ, NY, CT, VA & DE) with the capacity to serve over 3,000 residents.